If last night’s sold-out Massive Party, the Art Gallery of Ontario’s annual fundraiser, is anything to go by, fashion is most definitely the new art. 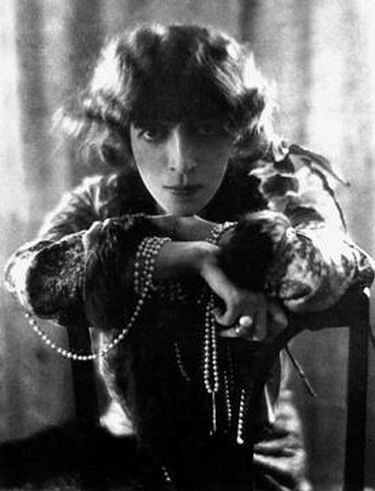 This year’s theme was the slightly obscure Marchesa Luisa Casati, the celebrated Italian arts patron of the early 20th century. And at one point in the evening, she and her impressively costumed entourage did make an appearance in Walker Court. But theme aside, this year artistic director Bruno Billio fumbled. In contrast to his enormous success last year, where he brought out plenty of fantastic and (importantly) surprising artworks and performances, – read my blog coverage of that event HERE – this year they were tepid at best. The only one worth noting was a fun photo-booth piece by art duo Camilla Singh and Walter Willems. Artists Camilla Singh and Walter Willems. If the point of Massive Party is to attract new audiences (which they did big-time this year, through Twitter, apparently) it seems a shame not to offer them a major art experience takeaway. So that was a bit of a let down. Not that anyone else seemed to mind. People were having a grand time, and the fashion on display almost made up for the lack of artworks. This fearless fashion reflects a change on the Toronto art scene since even two years ago. My theory is that the condos going up downtown are supercharging the city with and exuberant new crowd, looking to party. Downtown is buzzing and young patron groups have sprung up at major arts institutions to court them. It seems to be working. The ‘Marchesa’ and entourage makes her way through the crowd. It was a moment. I remember how depressed it was to see girls in prom dresses at Massive Party even two years ago. This year, any such dresses were decidedly ironic. The crowd was a sea of hats, masks, heels and sparkles – a wonderful display of sartorial creativity. A guest wearing her ‘ME’ dress – with a giant photograph of herself. Call it the Tommy Ton effect. In any case, it’s just in time for a fashion moment, with McQueen’s artful fashions on view at the Met, and what’s sure to be the film of the summer, a doc on New York style-snapper Bill Cunningham, out soon. Visit the Art Gallery of Ontario, HERE. ← Where is Ai Weiwei?